Having already built a number of MDF buildings for my VBCW project I somehow ended up buying a few more on ebay in the last few months. 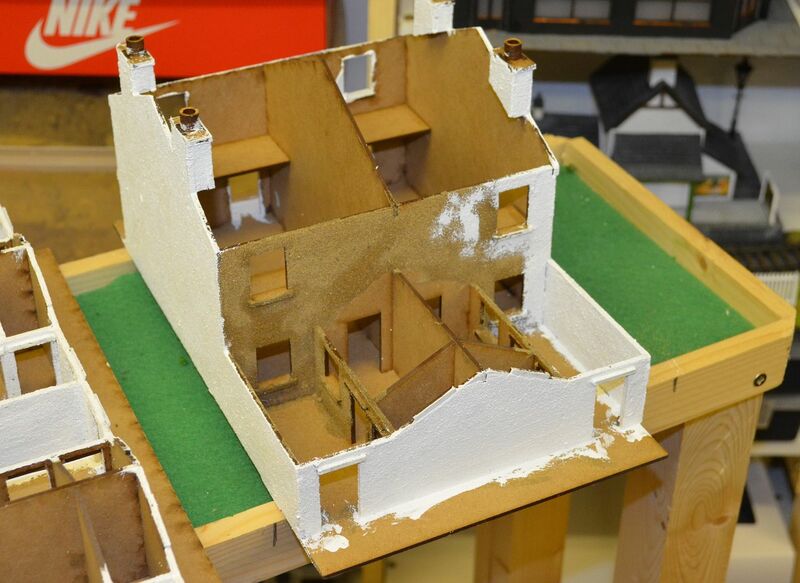 The first shown here is the Café from the Pegasus bridge set produced by Warlord Games. I seemed to have acquired this for the princely sum of £2.99. 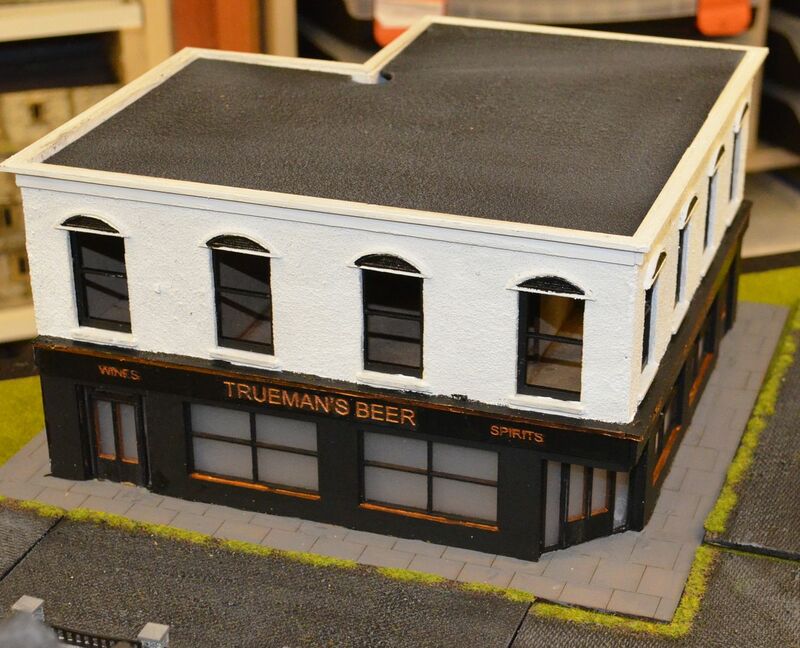 As you can see the building is now built but the windows are door frames were all a bit bland. I added some legdes and frames using coffee stirrers. These were cut using my latest tool...the chopper. A very worthwhile birthday present. 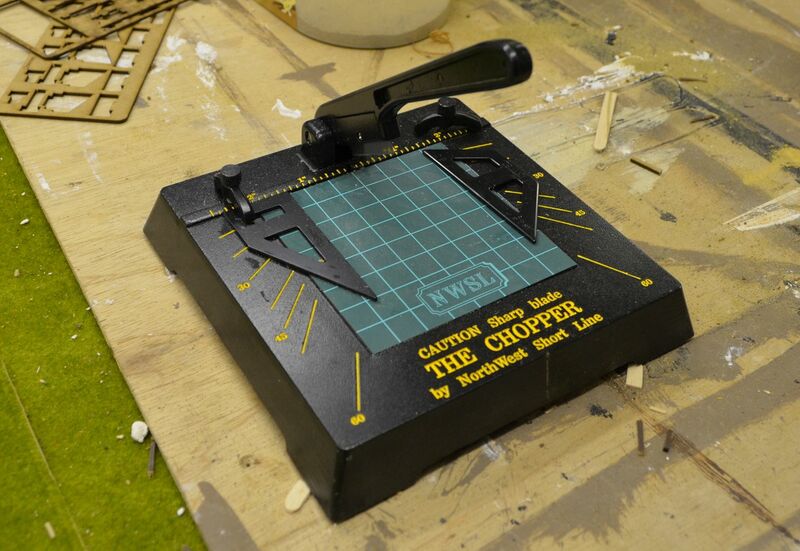 This chops wood, plastic etc with really keen cuts and all to the same length. A great gift. The blade is so sharp just touching this caused a great cut on my finger ! The building has been rendered with builders sand. Still need to mount this on a base which was sadly missing from the model I acquired. 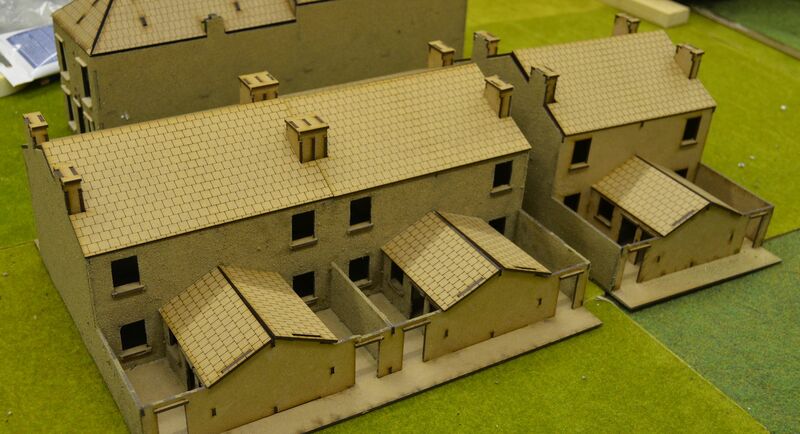 I also managed to acquire these terraces from Timeline miniatures - Again these were relayively straightforward to build and have been given the render treatment. Windows are doors will be added once painted. The great thing about these buildings are the integral back yards complete with outhouse. 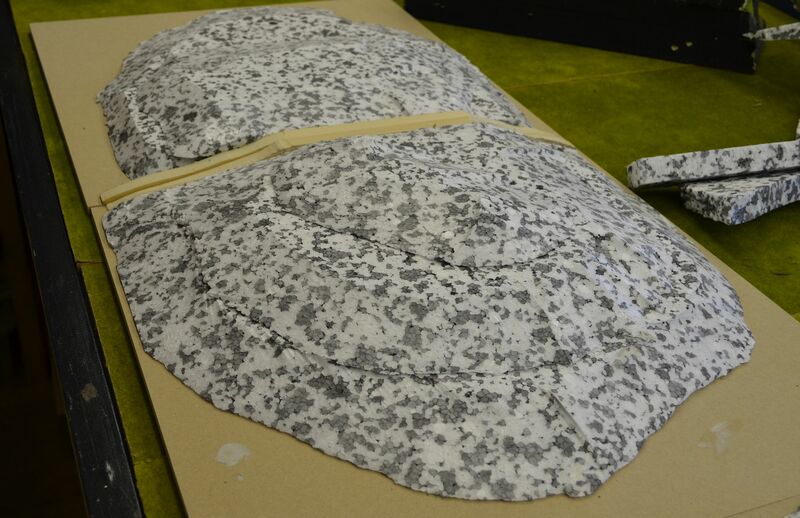 as you can see I have now treated the exteriors with a sand covering and begun to give them their first coat of paint. 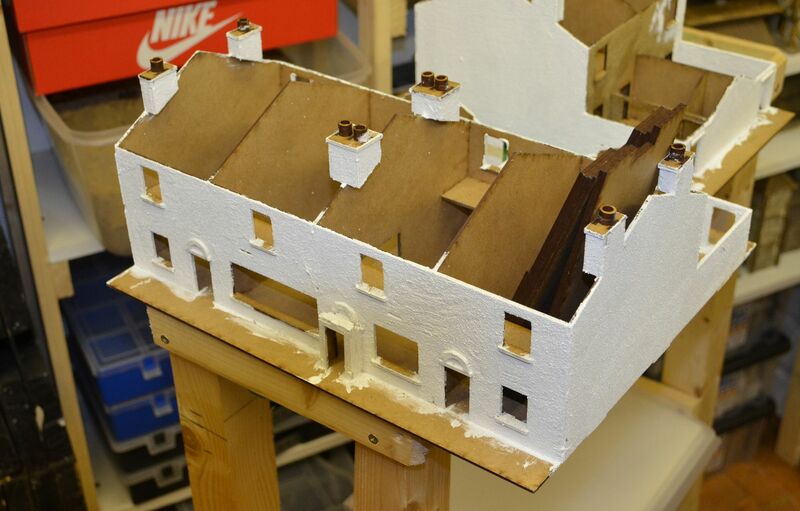 The window frames and doors will all be painted separately and glued into the final model. Finally I was so impressed with the timeline products I splashed out and bought their pub...no work in progress shots here but as you can see the whole thing goes together brilliantly. 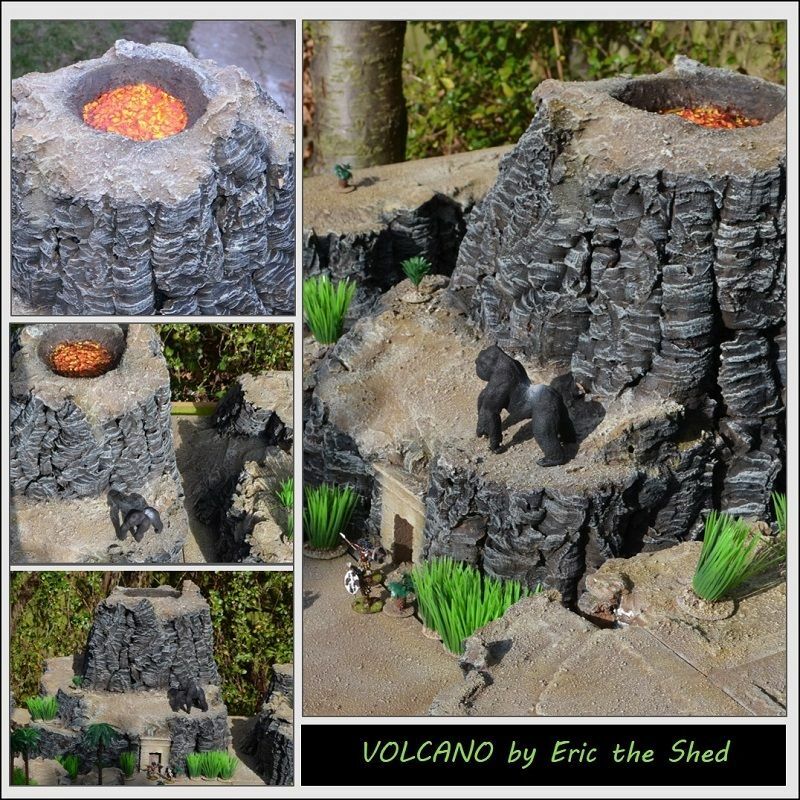 If you have been following the Volcano thread and wondered whatever happened ? Well I can report that the beast did get finished but I was not allowed to share any information until competition time. Now if you are a member of this illustrious forum you get three votes to cast for your favourite entries...hopefully one of these will be mine ...nudge nudge wink wink ! Seriously just vote for the best three and if my volcano is one of these then great. If you are NOT a member of the forum I can say that you are missing out big time. Wish me luck...polls close in about 4 days time !! I decided that I wanted to build some terrain over the weekend - afterall it was my birthday weekend and aside from too much beer watching the rugby Mrs Shed said I could do what I wanted. Now if you have been following my blog over the last couple of years you will have seen that many of my games are rather flat. I decided that I needed some hills. 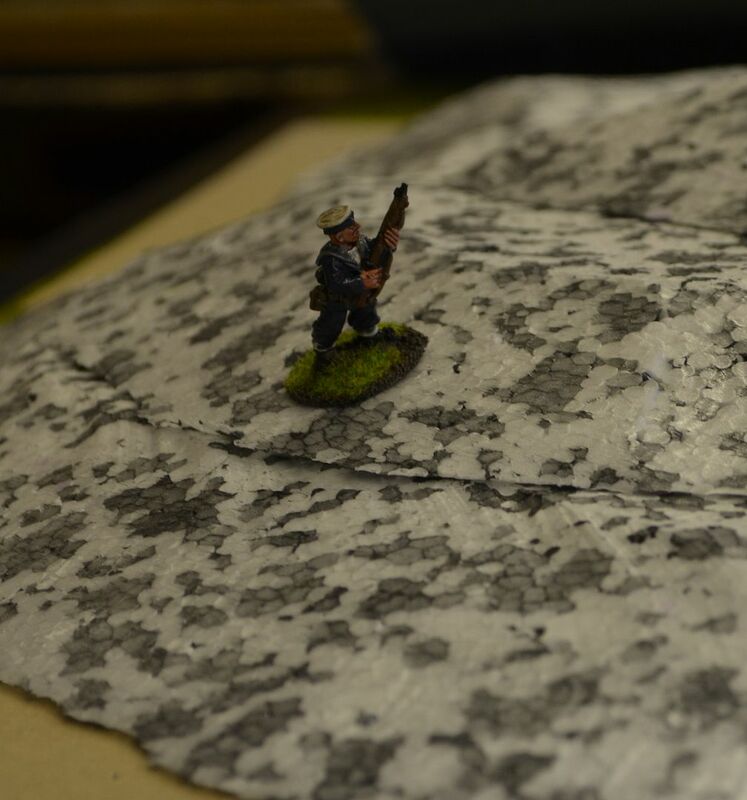 All of my terrain is either designed to sit on the table or mounted on 9mm MDF boards that are either 25cm or 50cm square. The hills would be built on these boards. Fortunately I had two squares left from my desert boards and one rectangular piece. This would be very much a trial and error project. If it works I'll produce some more. The starting point would be to create one hill - either stretching I metre in length or 75cm. in other words it will be made of two pieces. To get a clean join I needed to create a template from a timber batten. Once cut out using my trusty jig saw these battens were screwed to the boards. One batten was saved for future hills !! As you can see the smaller piece is being done at the same time. 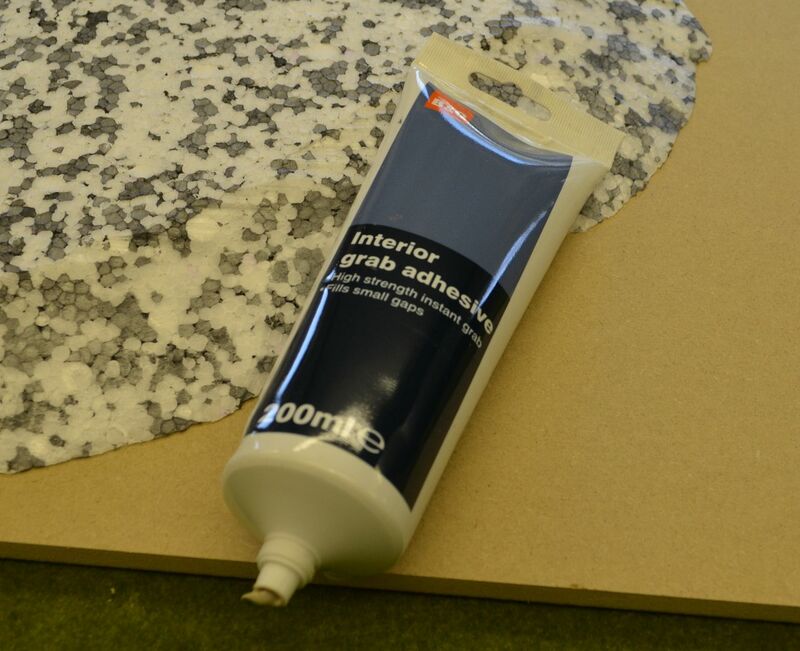 The polystyrene was fixed to the mdf boards using interior grab adhesive. Yes its steep but the 28mm figure is not going to fall down..
With the polystyrene cut and glued I covered the whole thing in filler - a wet goat all over and then more filler around the joins. This was then lefty to dry over night. The following morning saw the boards painted a chocolate brown acrylic. 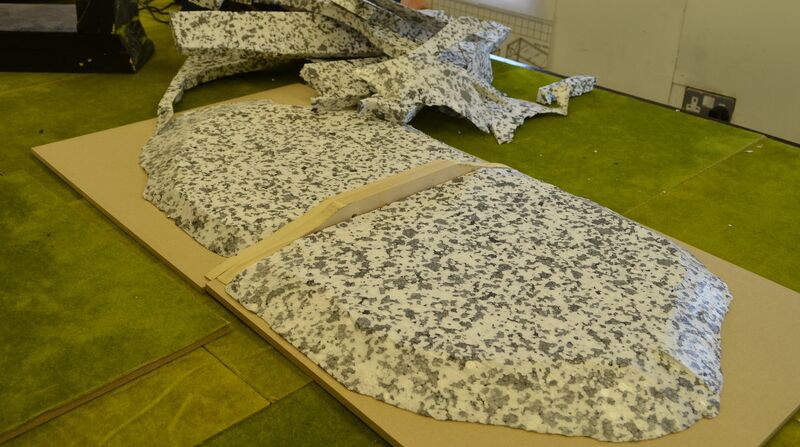 And the final job top cover all the hills in static grass using a pva glue. This used four bags of static grass. Although darker than my normal base boards it should fade in time. As you can see in the pictures above these hills look the part if a little angular. If I build more I will be looking for a much smoother finish. I will make up a ridge section to sit inside these two hills (battens at both ends) plus a couple of hills that sit on their own 50cm square bases. That however will be set for another day. Post Erics birthday messages here. Who would have thought my recent brief post on the Posties mechanised unit would solicit so much interest? So over the weekend I put paint to lead and have decided to strengthen the unit with some more purchases. I decided it needed some extra firepower in the form of Machine guns, some artillery support and some indirect mortar weapons. 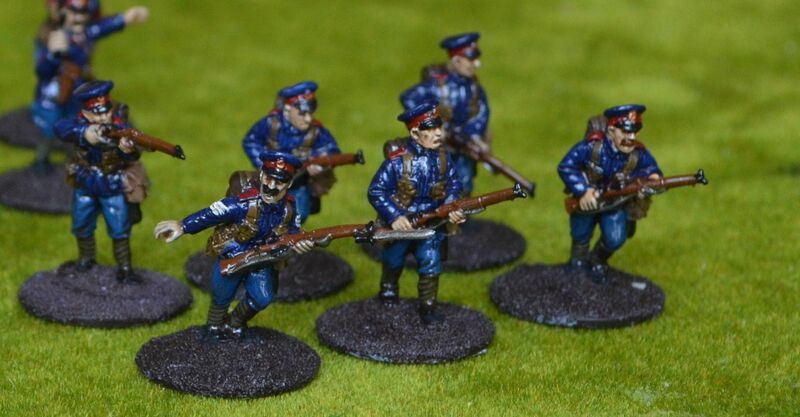 Wanting to keep with the BEF themed uniforms for my posties I purchased a number of blisters from Renegade miniatures. When they arrive I'll be sure to post pictures of them before and after painting. I also found an old despatch rider in a box of spares so he has been added to the unit. 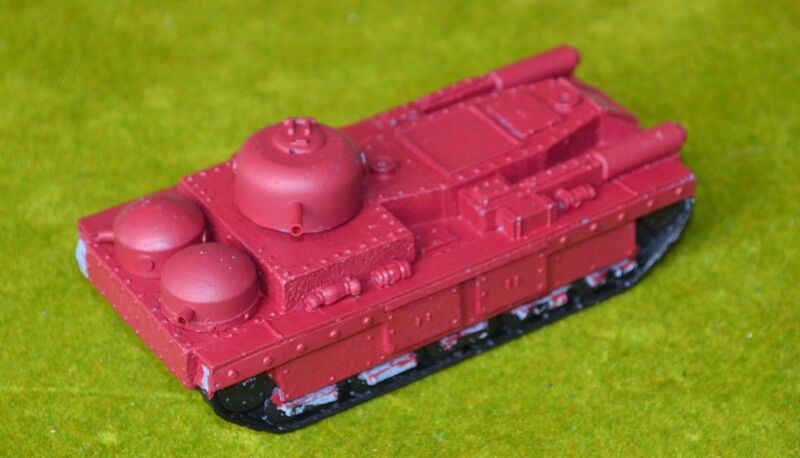 I was bold...I painted the tanks and vehicles red...I have to say that it was difficult at first and went against all my sentiments to do so but in the end I am happy that I took this step. The following are just work in progress and need a lot more work. All the vehicles will then be given the Post Office George Rex gold signature.. The gun barrels on the tank were made using the ink tube from an old bic biro. The figures were a joy to paint and very quick - a Saturday evening session - nowt on the telly and I had to collect my daughter from a party at midnight. Just need to sort the basing on these but they are nearly good to go.. This has been cut from a photo found on the internet. If lucky I might find a better one. Having got bored painting Saracens, building Volcano's and Tramp steamers - don't worry these will all be completed - I have turned my attention to a small project. 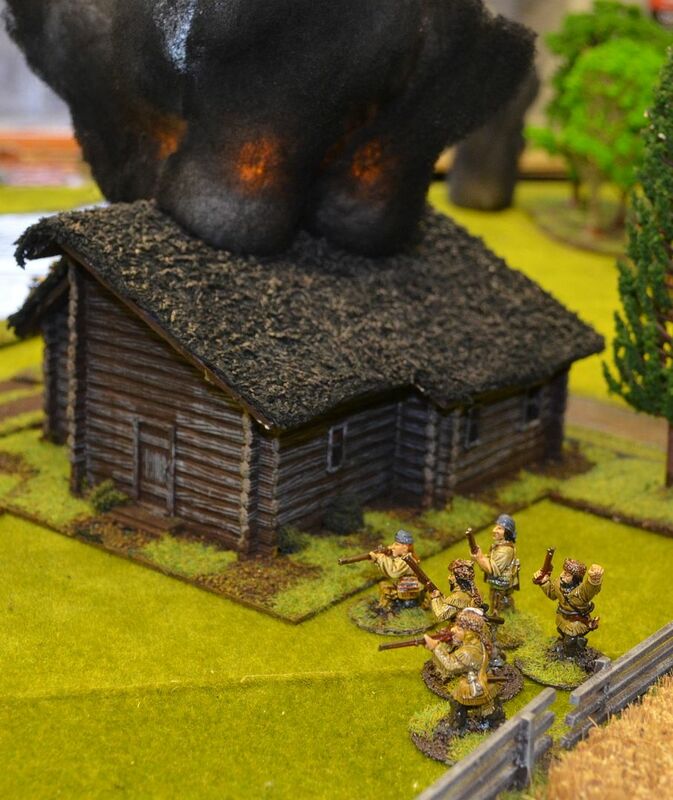 One of the great things about the VBCW genre is the opportunity to create ficticious units in this 1930's setting. A few weeks back one of the job lot of LLedo vehicles I purchased included a postie van and the thought occurred to me that a unit of Postmen in their bright red vehicles would look stunning on the table. This would be a totally mobile and mechanised unit - ie in vans and trucks so a quick sweep of ebay found these wonderful vehicles and were duly purchased. 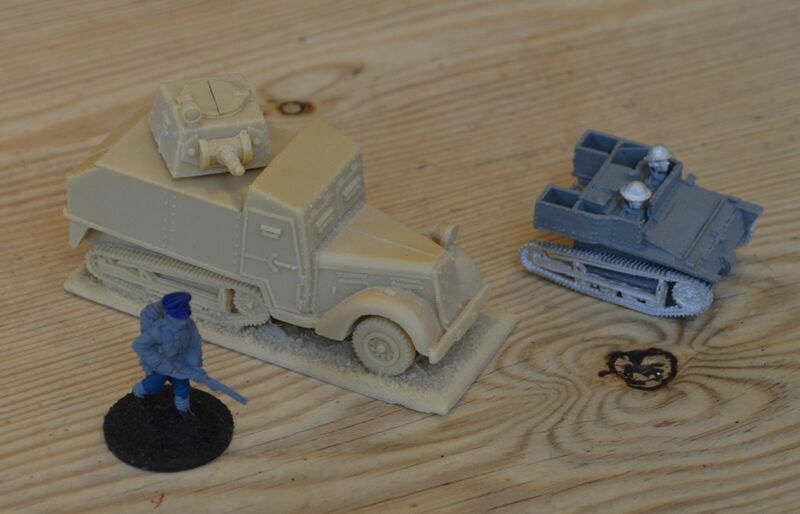 As you can see their are four vans for the rifle squads, a flatbed which will mount an AT gun, and a couple of smaller vehicles to use as staff cars, observers and MG crew? The troops are all based on WW1 BEF figures - complete with their caps and puttees. 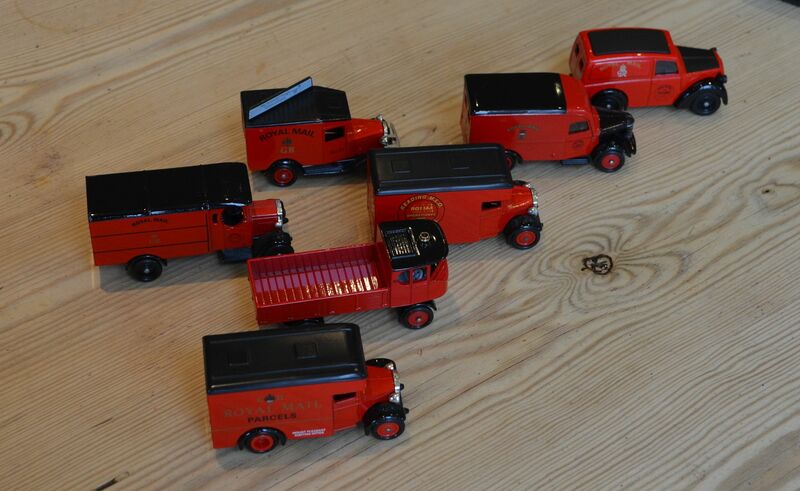 These will be painted in nice blue uniforms befitting of a postmen in the 1930's. As you can see in the picture above I have started trying to find the right blue ! I still need to add a Mortar Crew and a Vickers Machine gun. 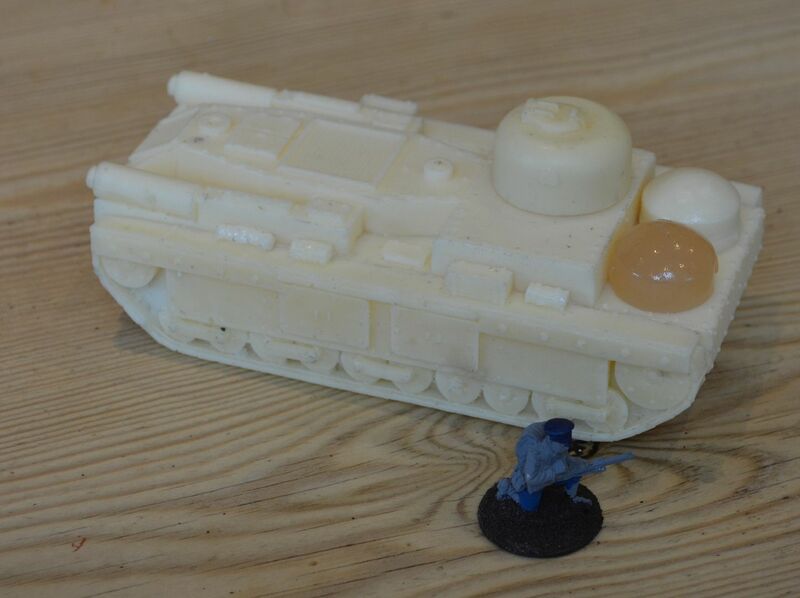 Finally our Post Unit will need some armour support - the resin beast below is a tank sourced fro Caliver at last years salute. I believe it is an old PMC model. The big question - Can I be so bold as to paint these pillar box red?? Of course I can. The colour scheme will match those LLedo vehicles I purchased - bright red and black. If you have been following my blog over the past three months you will be aware that I have been attempting to paint up a large Saracen army for my Crusade games (The Crusaders will follow). When I think of Saracen armies I think of flags, banners pennants etc fluttering in the desert winds. I wanted lots of flags for my army. If for no reason that it will bring the force to life. I quick realised that sourcing all my flags and banners commercially was going to leave me out of pocket rather rapidly so I decided to make some of my own. This proved to be very easy. 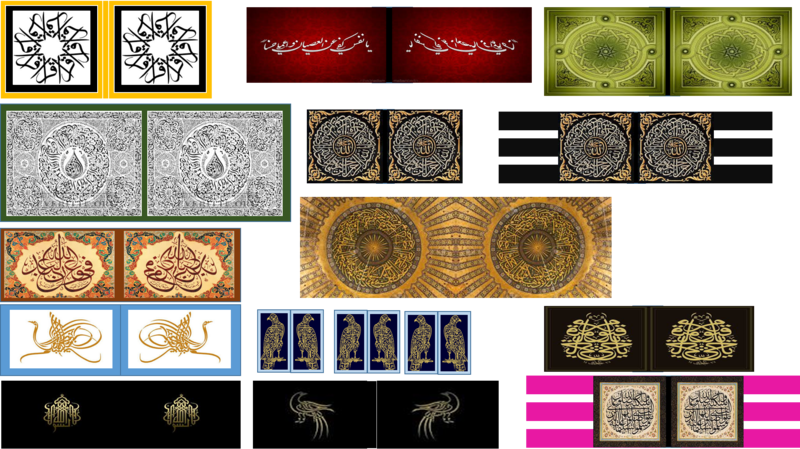 I googled Arabic calligraphy and Arabic/Islamic designs in images and was presented with a raft of wonderful pictures. Now I have no idea what many of these things say but they look the part. An hour later I have two pages of over 20 designs. These were copied and flipped to create both sides of the flag. 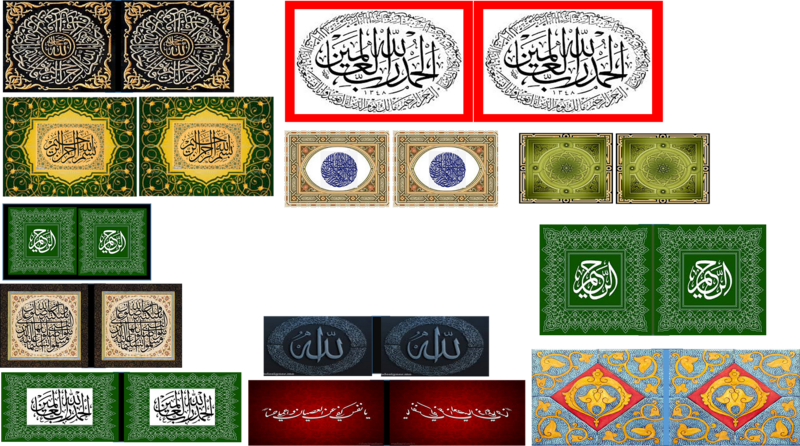 By reducing and enlarging the size of each image I can create the right size banner for my forces. If anybody wants a pdf of these images just drop me a line. The flags will then be printed onto normal paper, cut out and glued onto those bare flagpoles. 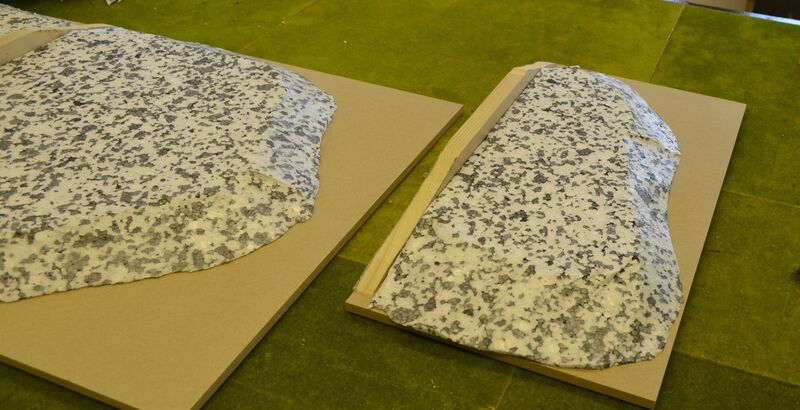 Whilst the PVA is drying twist and curl the flag to create movement in the material. Wednesday night saw the Shed open for business, this time not with my usual crew but with some of the great guys from the Lead Adventure Forum - jimbibbly, Captain Blood and Mamalute. Whilst we were at Tactica, Mamalute had bought the Muskets and Tomahawks rule set and so I suggested that he might be interested in playing these at the Shed one night. A date was agreed and along with promised delivered Pizza the game was on. 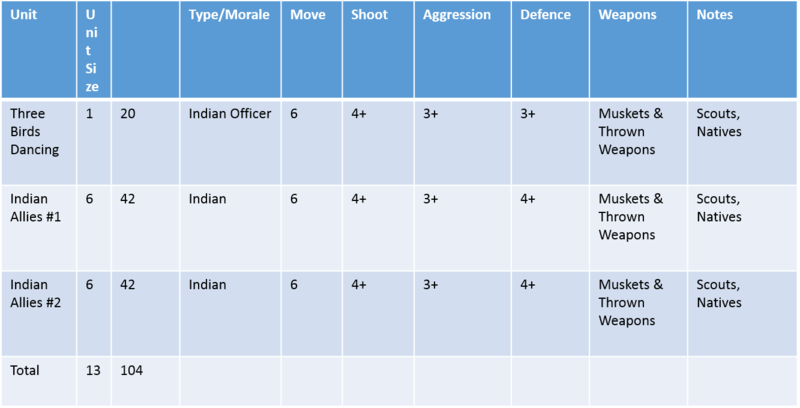 I spent the weekend considering the scenario and pulled together some reference sheets. Given there was only four of us I could actually play. 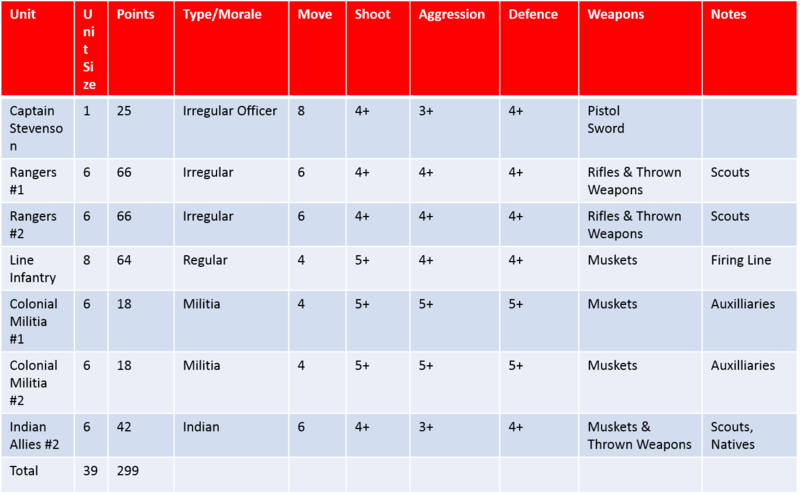 The following pictures are the orders of battle set out for the game. If anybody wants these in a pdf format please drop me a line. I'd be happy to share. Over the last couple of years British settlers have established a small but thriving community in the region known as Hatchet Creek. Fur trading with local natives have established this village on the map as a primary source of beaver pelts for the ladies in the colonies. Two weeks ago the village received unwelcome news from the garrison commander at Fort St James. In this message the inhabitants of Hatchet Creek were warned that the local Indians were now in dialogue and trading with the French further upstream. This perhaps explains why no pelts have been recently delivered. 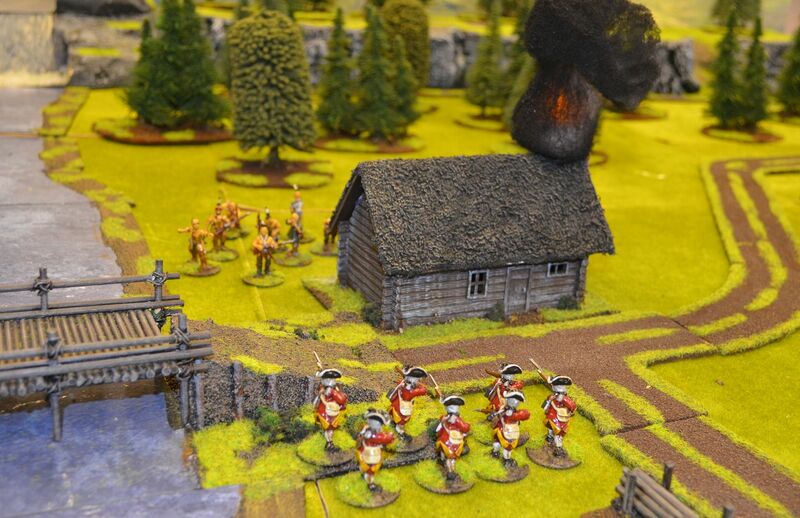 The garrison commander – Colonel Stafford, being a wise old bird decided to bolster the villages meagre defence with the construction of a block house and the placement of units of crack Rangers and Redcoats. Last night a friendly native arrived at the village in a rather poor state, he’d been shot and had lost a great deal of blood. Before he passed on to the happy hunting ground he mentioned that a sizeable force of French troops and Indians were approaching Hatchet Creek with the Intent to destroy the settlement. A rider has been sent to Fort St James in the hope that a relief force can mustered and despatched to the villager’s aid. 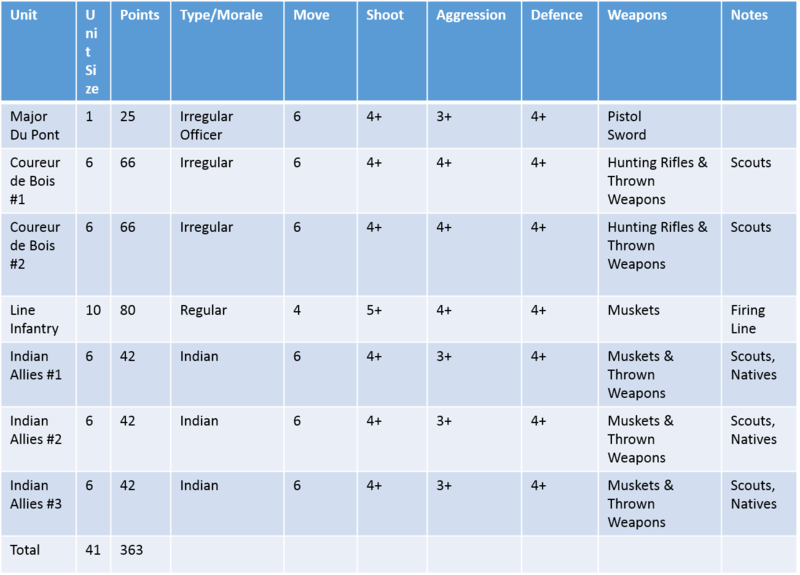 Your defence forces are on the table – these can be placed in the buildings or blockhouse. Notes: The Big River may not be crossed other than at the bridge, the smaller rivers may be crossed at -half speed, other than at the ford. 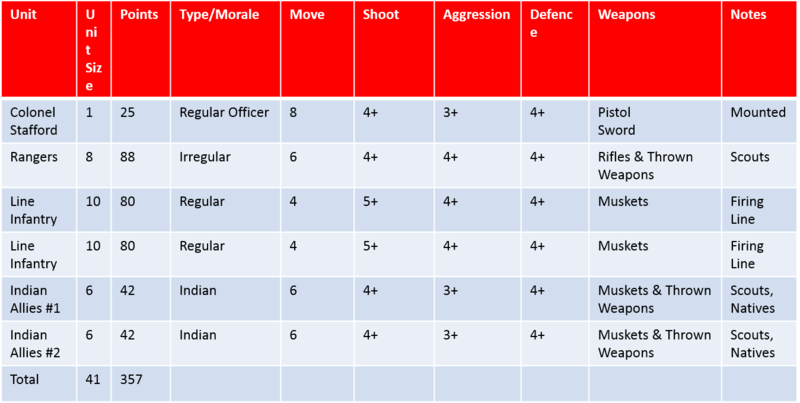 The Order of Battle below is the Towns defence...Mamalute had to write down in the boxes on the map which building was occupied by which unit. The exception being his Indian unit...these weren't allowed in the house but had to be placed somewhere within the village. Over the last fortnight you have persuaded the local natives that it is in their interest to trade with the French colonies only. But to reinforce your chokehold on supply the trading post at Hatchet Creek needs to be destroyed. Unfortunately one of the locals didn’t quite like this monopolistic ideology and tried to warn the British of your attack. Your scouts managed to track him down on the outskirts of the settlement where he was dealt a grievous wound. Unsure as to whether your attack has been forewarned you have decided to press home the attack. Conscious that any British relief force must come across the Bridge to the north of the settlement you have placed an Indian Ambush on the escarpment overlooking the bridge. They may be activated at any time. 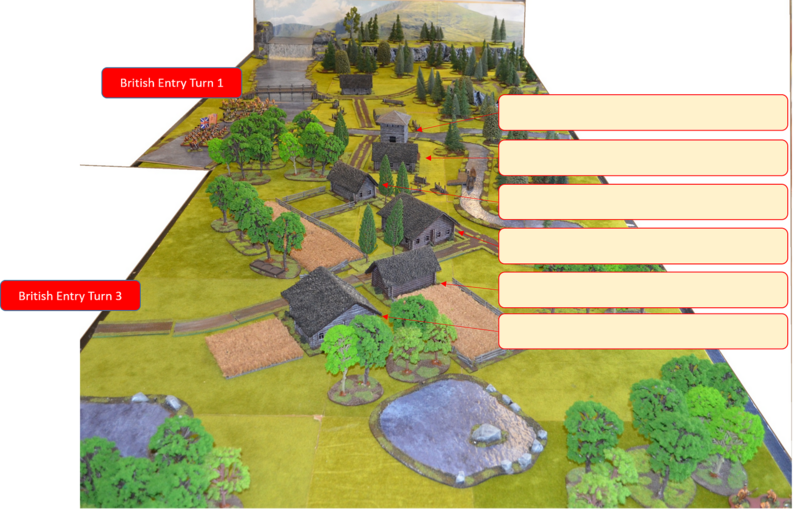 Your attacking forces come in at the entry points marked on the map. The Indians (commanded by Captain Blood) started in the ambush position as marked on the map. I do find that having these orders of battles prepared before the game not only adds to the flavour of the game but also speeds things along. Now I have an admission to make, I was so engrossed in the pizza, the game and of course the company I completely forgot to take photos. Therefore the following are 'staged' photos after the event but hopefully give a flavour for the proceedings as they unfold. As mentioned the orders each side either had to defend the buildings or burn them down. With eight building to count this was going to be interesting. 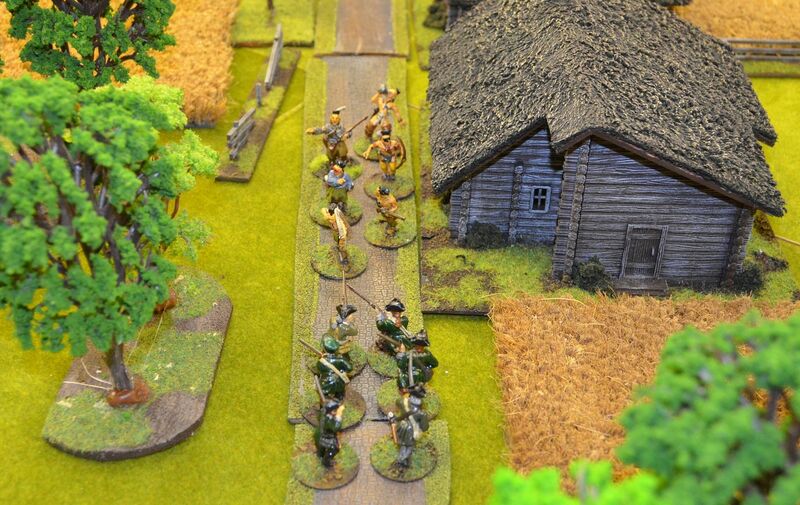 The game started easily enough with the British Relief force marching across the bridge and making their way towards the hamlet. 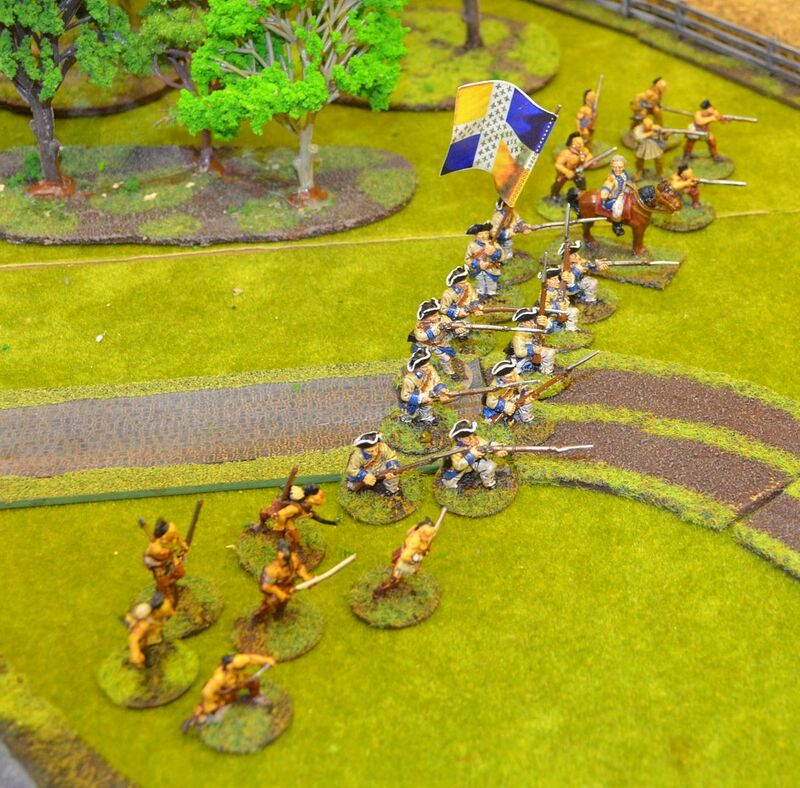 It wasn't until the second turn when they were all across the bridge did the Indians in ambush (hidden on the table) open fire into the ranks of the British line. 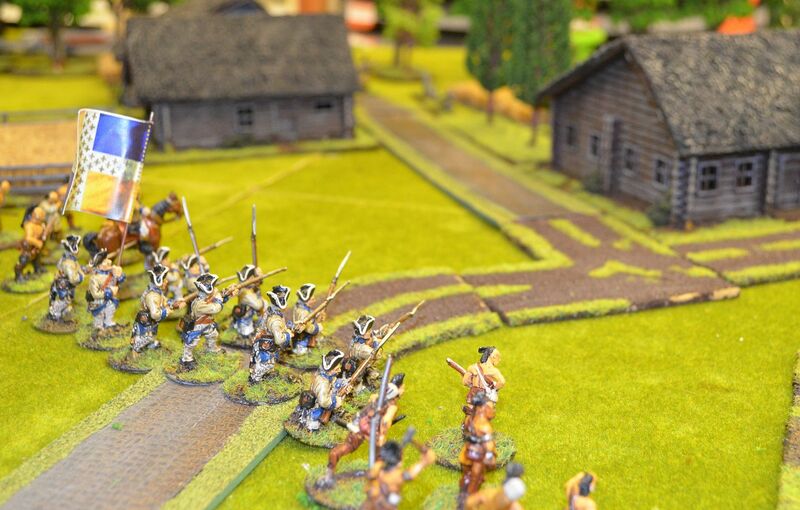 This was devastating and two units of Indians managed to pin down virtually the entire relief force with carefully aimed musket fire from the treeline. 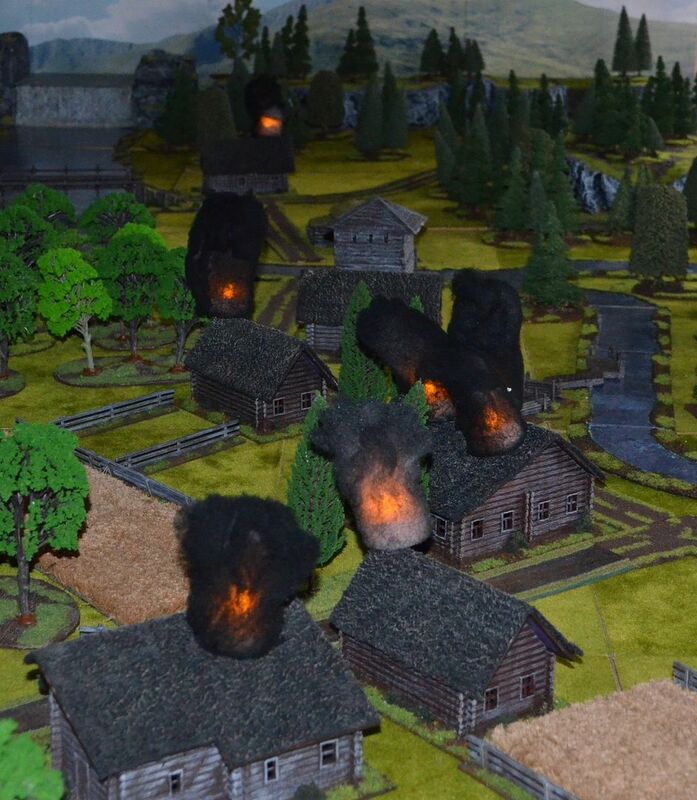 As the game approached the third turn the Indians feeling rather brave made a dash for the building on the far side of the bridge and quickly had this burning. Feeling invincible they ran towards the red ranks still posted around the bridge. Needless to say their luck came to an end and died in a volley of lead. Heading across the table an to the centre we saw the White Jacketed French alongside their native allies march into the town. Sporadic fire from the local militia and a singular unit of redcoats kept them at bay until their firing lines could be brought into order. Rangers positioned in the blockhouse kept up steady rifle fire into these units, taking full advantage of their long range and skilful shooting. 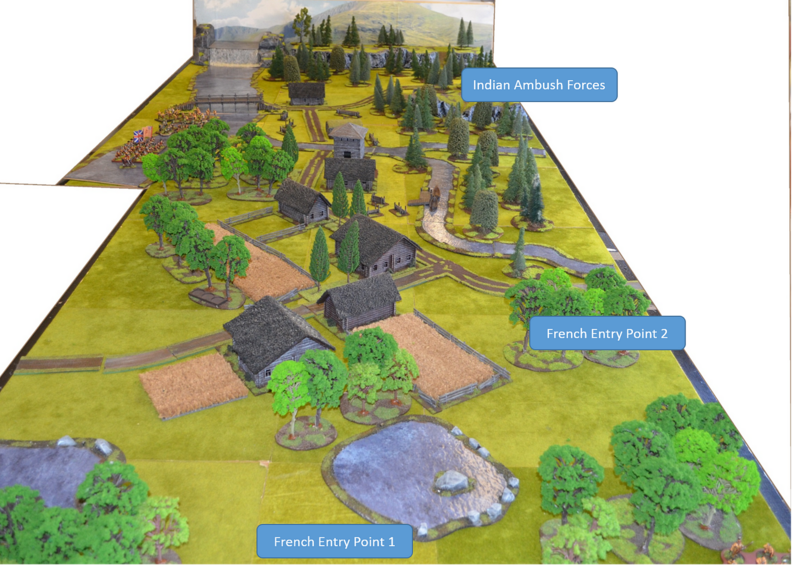 With the redcoat defenders dealt with by a suicidal Indian charge the French were able to push forward into the town. A great game, great company and we were even joined by Dr De'ath on Skype from Dudley ! !